I’m out in the vineyard counting buds and weighing shoots, preparing for pruning and the prospect of vintage 2018. With vintage 2017 securely in tank and the viticulture and winemaking team recovering from what felt like the most protracted harvest in living history it is a good time to reflect on the period and the events. Drawing down on the experiences from many vintages that I have worked through, 2017 would be the most challenging and time consuming. The volume of ongoing decision making through the period flowering through to harvest was phenomenal. Managing risk from the cooler than recent average weather and rainfall seasons was an almost daily event. Forward planning to offset the potential for disease and ensuring a crop of the highest quality was a priority and then helping other growers to achieve a similar result has a consequence in lots of time and energy consumed and a few sleepless nights. If the critical period of berry development lasts 90 days…. Then this vintage it felt like 180 days. It is easier to generalize than to go into specifics for each variety of grape and wine style and I like to try and make life easier so this is my brief summation of the vintage without getting too bogged down with detail… and with a happy ending. Budbreak was a little later than the previous few years due to lower soil temperatures and high moisture content leading into budbreak. Budbreak was an extended event and interestingly quite even and as a result the crop potential looked very promising. Flowering occurred later than previous few years (although was more in line with what we knew back in the 1980’s – 90’s) as a result of cooler weather resulting in cooler soil temperature. If we had a warm daytime temperature it was met with a significantly cooler night time temperature. At flowering, it was reasonable to forecast that vintage would be later than those recent vintages and that without significant improvement in daytime and night time temperatures that vintage dates would extend out. At this phase, we were already putting strategies in place to improve disease management and leaf plucking to open up the fruit zone post flowering and some strategic bunch thinning was the obvious and sensible choice. Flowering to veraison (berry colour change) was a reasonably normal period but was noticeably cooler – especially night time temperatures. A good example of the difference in temperatures was the hottest day, 25th January, high 37 Centigrade – low 10C. This temperature occurrence continued throughout and we knew that vintage would be later and that there was the possibility that fruit quality would be very much improved. We know that cooler night time temperatures can unload the stresses on vines and fruit that occur from hot days and as a result, the freshness and acidity of the fruit will be preserved, fruit quality is maintained and this is reflected in the resulting wines. 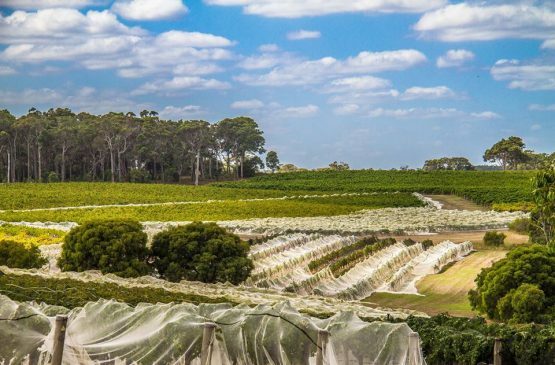 Management to control disease embraced reducing the period between sulphur spraying events and some increased effort in canopy and fruit zone management to improve sunlight exposure and airflow movement. At this point we did also apply additional foliar nutrition to help improve the potential crop quality, as yields looked to be very promising with larger bunches and good fruit set and we recognise the benefits of maintaining a mineral availability balance within the plants that enables colour, flavour and aroma development. The addition of kelp and fish extracts provides some readily available nutrition and also improves the water shedding capacity from leaves and fruit, thereby reducing humidity and improving disease management. These are some of the techniques used in spraying to reduce chemicals and improve the environment for growing healthy crops. Veraison in Cabernet Sauvignon was approximately 2 weeks later than 2016. Soil moisture at 900mm depth was adequate and much more abundant than in previous years, a result from smaller canopies requiring less moisture, lower soil temperatures, adequate rainfall and lower evaporation rates. There was a very good Marri tree flowering that coincided with berry maturation and the Silver Eye birds were satisfied with nectar and the need to apply nets wasn’t a high priority in most vineyards. The need to apply bird nets rapidly increased as the Marri flowering was progressively wiped out with strong winds and rainfall. The Silver Eyes got hungry and the grapes became an attractive food alternative. The progression of fruit maturation became more difficult with lower average temperatures and rainfall slowing up the process. The period of rainfall that occurred around 23rd March resulted in excess of 70mm over most vineyards and follow up rainfall through until vintage created many challenges. Every day had us out in the vineyards monitoring for disease and decisions being made on removing and replacing nets, applying sprays to dry up botrytis and then, if necessary, cutting fruit off to reduce disease contamination and to improve the chances of harvesting fully ripened grapes. This was a very intense and sensitive period for growers and winemakers…. Working together to make the best of what the season brings. My vintage harvest dates for 2017 were between 14 to 28 days later than 2016. The later maturing varieties progressively became later harvest dates. Cabernet Sauvignon harvest started for me on 7th April 2017. We finished vintage on the 26th April. Interestingly, the harvest dates for 2017 look similar to 2009 and 2009 was a very good quality vintage…. I think that vintage dates have gradually come forward over the last 10 years and this year just possibly corrected back to what was the norm? In the end, we did drop a lot of fruit to maintain quality and therefore tonnages are lower than what could have been expected. 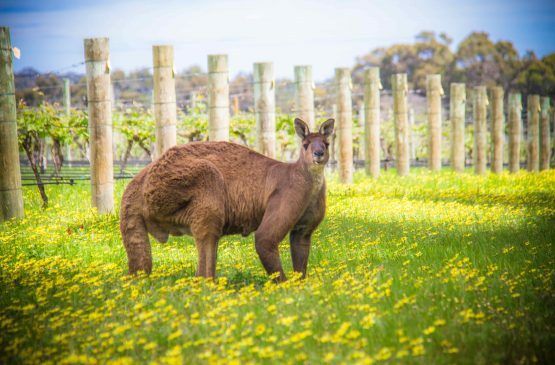 The great news is that what we have in the winery will be excellent quality and we are very confident that 2017 will also be remembered as a great vintage for Margaret River. Chardonnay wines already exhibit the minerality, depth of flavour, aroma intensity and natural acidity that comes from cool night time temperatures during fruit maturity and the ability to pick at lower baume. Cabernet Sauvignon has great depth of colour, intense cassis berry character on the nose and with the added benefit of fresher varietal flavour at slightly lower alcohols from the cooler finish to vintage. 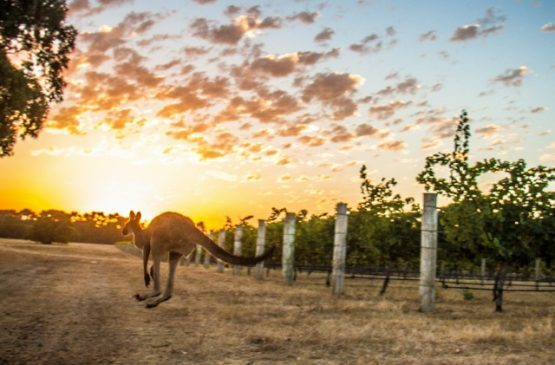 Overall a great result for wine lovers from an extraordinary vintage in the Margaret River wine region.